With everything upper elementary teachers need to think about and cover, it can be really easy to let some things slide. The speech and language standards tend to be one of those things. These skills are important because they lead to more complex discourse in upper grades and college, and are an essential part of being an active citizen and participant in society. 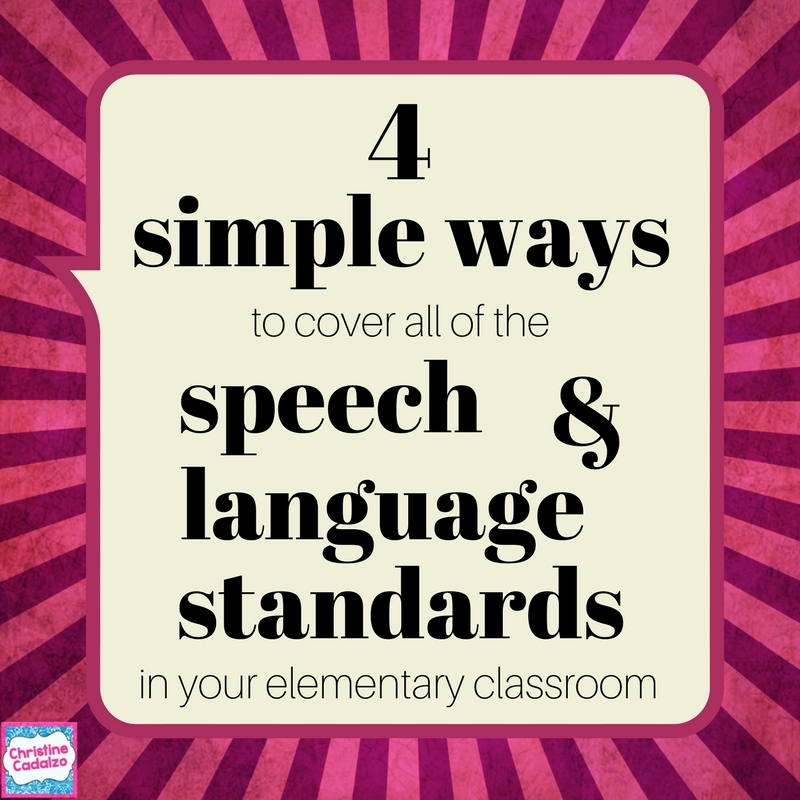 The speech and language standards can also be a vehicle for teaching, practicing, and reviewing other content, so they are one of those ‘kill two birds with one lesson’ set of standards. 1. Use a focus of the day or week. Choose an overarching focus of the month (or week) and then a specific focus for each week (or day). This doesn’t require any extra class time, but helps focus students’ attention on a skill, so it’s more likely to be practiced. You could also start by doing one overarching idea per month, and then once you cover them all more slowly, start cycling through by week to create a spiraled review. When it’s time for read aloud, or when information is being given visually, quantitatively, or orally, knowing the focus skill(s) for your grade level can make things less overwhelming. These skills are already covered in other ELA standards, so we don’t have to add any additional content. If we just take some time at the start of the school year (or whenever we’re ready to tackle these) and plan it all out, then it’s easy to implement with very little extra work. It’s mostly just a matter of adding a secondary focus to already existing lesson plans or projects and giving students a specific skills to practice during read alouds and conversations. Happy (speech & language) Teaching! !